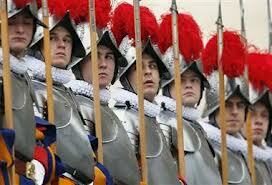 This is how 507 years ago, a group of 110 Swiss men arrived at the Vatican, marching along the steady beat of a drum. 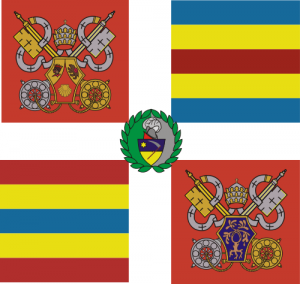 Back then Pope Julius II asked the Swiss Confederation for a group of soldiers who could defend him from his enemies. With time, this protective body soon became known as the Swiss Guard. To honour this anniversary, the Swiss Guard celebrated with a Mass, led by the Pope's master of ceremonies. There was also a military parade, that mirrored the very moment when the first guards made their way to the Vatican. 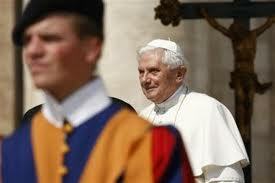 The loyalty they have shown has carried over to each of the Popes they have served. Their distinctive uniform displays the joys of being a soldier, readiness for combat and their service to the Successor of Peter. The color red also symbolizes blood, a metaphor for their devotion and willingness to sacrifice their lives for the Pope.